Super Pixel Racers is a top-down racer with punchy 2D pixel graphics, anarchic racing and a thumping 16-bit soundtrack. Thirteen challenging tracks and a range of unpredictable weather conditions put your drifting skills to the test. Meanwhile ruthless opponents look to check your progress at every turn – or better still – end your race altogether. Rise to the top in the single-player career mode, take on up to 4 friends in local multiplayer, or leave challengers from around the world in the dust with online multiplayer support for up to 8 players. 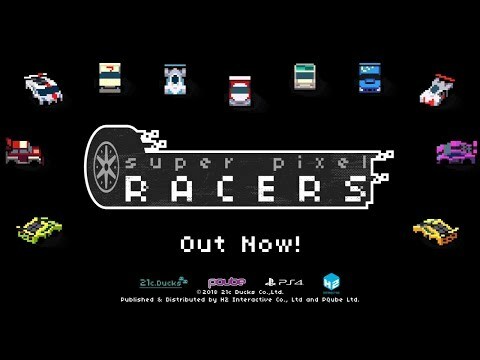 Super Pixel Racers was released on PS4 and Xbox One 174d ago in the US and the UK. Notify me when Super Pixel Racers is available.